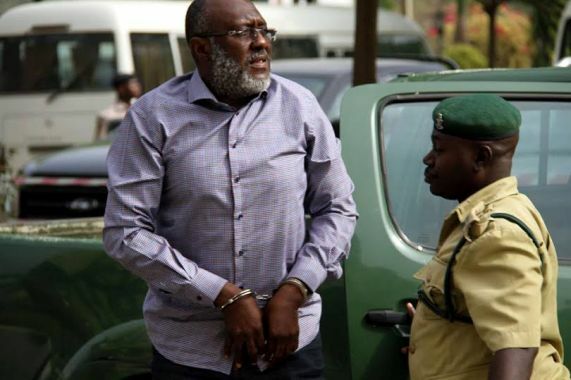 The National Publicity Secretary of PDP, Olisa Metuh arrived the Federal High Court Abuja in handcuffs today. 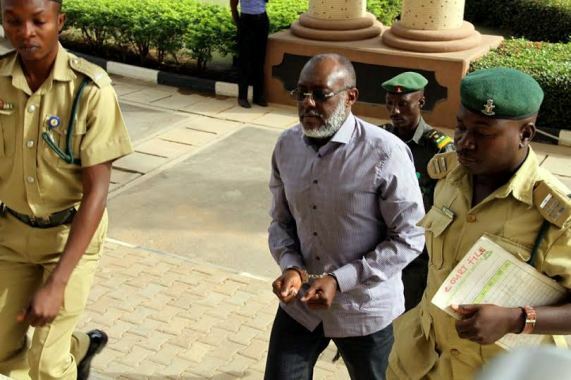 Metuh who is still being remanded at Kuje prison, is yet to fulfill his bail conditions for two separate trials. The first charge is for receiving N400m from former National Security Adviser Sambo Dasuki and the second if for destroying the statement he made to EFCC on January 12th. 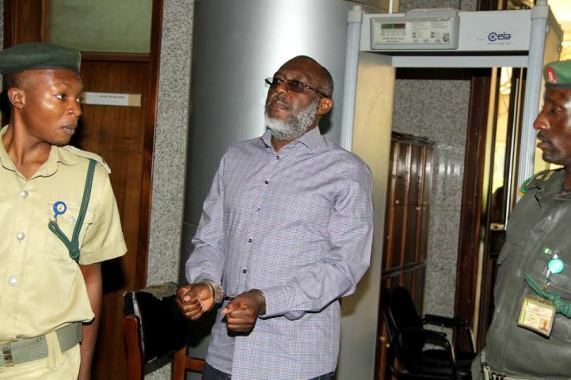 His bail sum for both charges amounts to N1billion,4 sureties ..